Graduation. I had been waiting for this moment for what felt like forever. I was excited. I was thrilled. And I was terrified. I didn’t know what to think of this moment, or what I was going to do with this moment. For thirteen years I had been waiting for a night that would only last three hours. All of my hard work and dedication had poured into this singular moment. 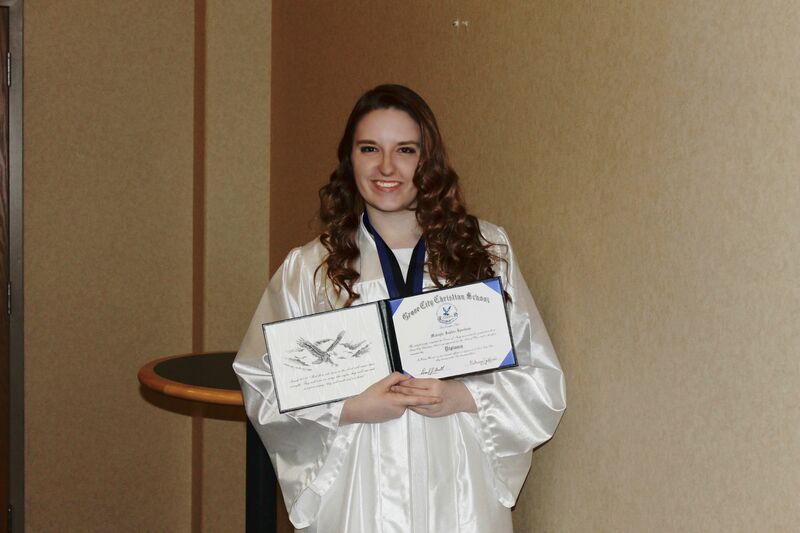 For the past year, my senior year of highschool, I had been waiting to walk across that stage, give two handshakes and a hug, get my diploma and be done. If I were to say that I was thrilled would be an understatement. To say I was terrified would be an equal understatement. For as long as I could remember I had been invisioning this moment. Let me tell you, kids, please don’t waste your time in high school. Make the best memories and hold your friends close. It goes by fast. The moment you have here are going to be moments that will last your forever, and for most of you this will be the best time of your life. I can’t really put into words this moment. We practiced the night before, and we really made this night ours. Each one of went on stage and did our own little things (totally against what we were supposed to do, but it was our night!). 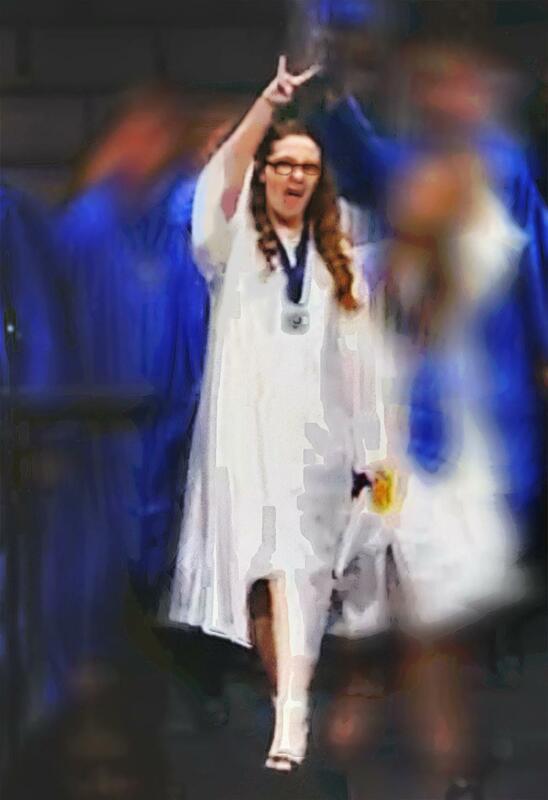 When I walked across the stage, I lifted up both arms did rock signs with my hands and stuck my tongue out. I probably looked like a total weirdo, but it was seriously in the moment and I would change one second of it for the entire world. Next we took our seats, turned our tassles, listened to speeches and enjoyed ourselves. The crowd looked at us, many of the audience being teary eyed (I’ll admit that I was teary eyed, too). 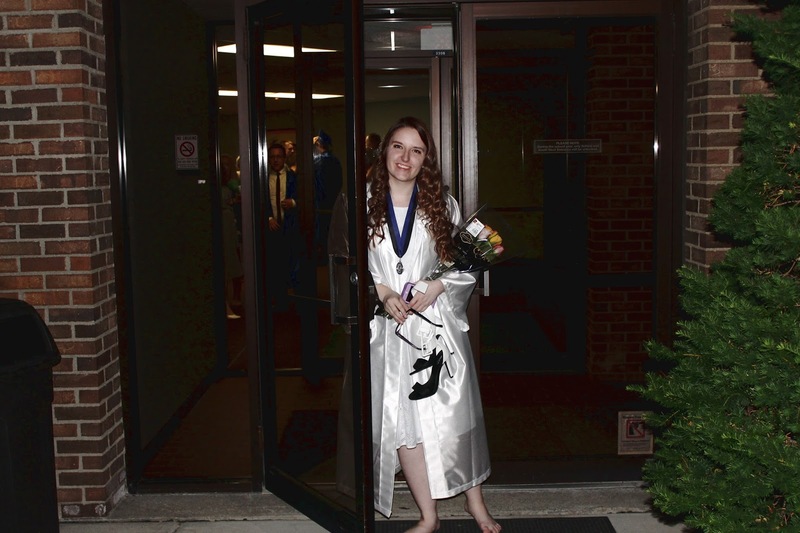 Then, it was time for us to make our final walk across the stage, off of it, and into the hall with our diplomas. We were done. One of the funnier moments, however, was when we got off the stage. Usually our school’s band would play a song as we walked, we’d take our spots in a specific order and in an orderly fashion. If any of you were to know my class, it’s that we really like to spice things up and bring the party. With a few words the sound system was rigged and hip hop music started blaring through the speakers. Someone even snuck a blowhorn on stage. We all stood in our seats and started dancing in front of the audience. I really don’t know if our teachers were shocked, amused, or what. But it was awesome. Then we left the stage. We walked through those doors making it do the next part of our lives. We were done. It was it. We were ready for the world.